As you might know, we have the first two best selling Amazon Affiliates Plugins here on Codecanyon. 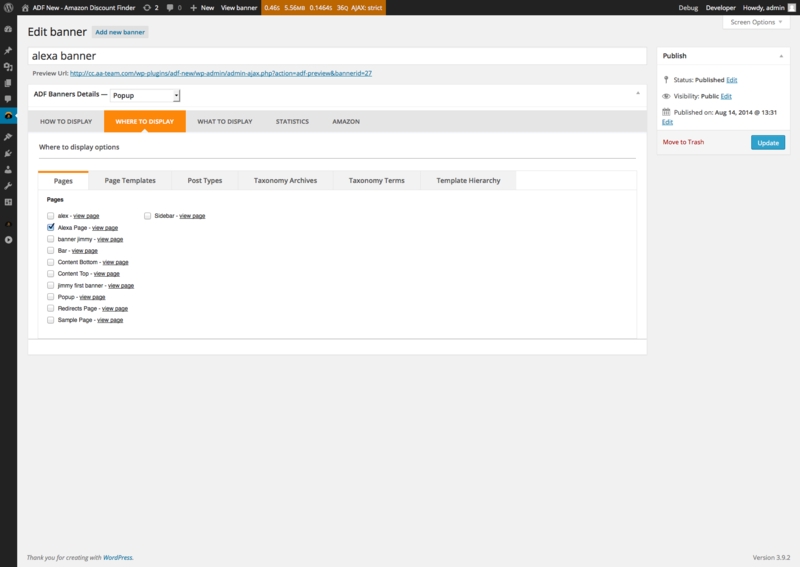 The Woocommerce Amazon Affiliates and the Amazon eStore Affiliates plugins. The main goal for these products are to import amazon products into your own ecommerce website, and earn commissions from Amazon. In time, we noticed that not all of our customers wish to have an ecommerce website and import products from amazon,or it seems to complicated for some of them. 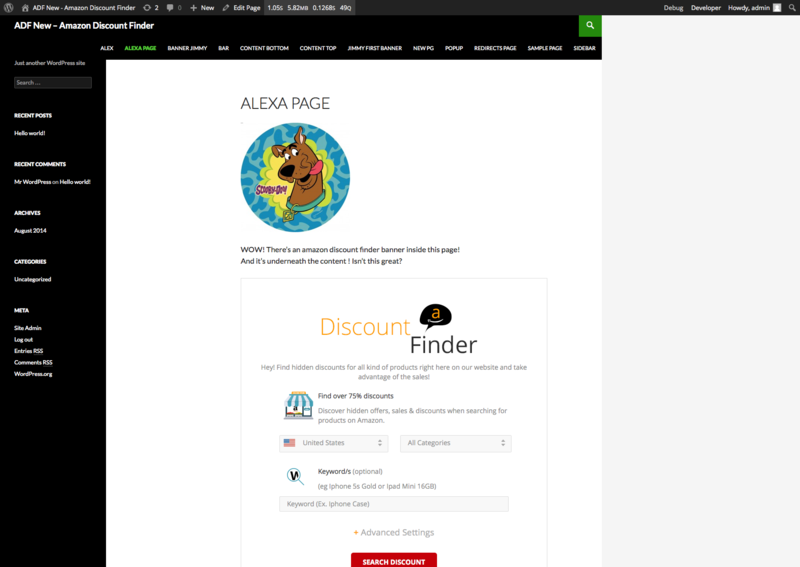 This is the reason that made us develop a new plugin, called ADF – Amazon Discount Finder, in order to satisfy the needs of our other type of clients. Using this plugin, you will easily earn commissions from Amazon without the need to have advanced knowledges of programming or anything of sorts. 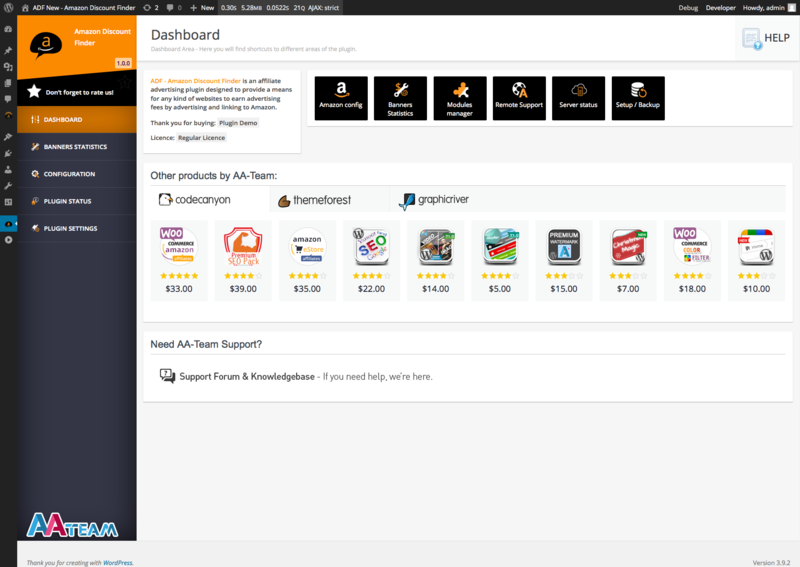 You just need to install the plugin, to have / make an account on amazon associates, create a new banner (or unlimited banners, we have 5 types available! 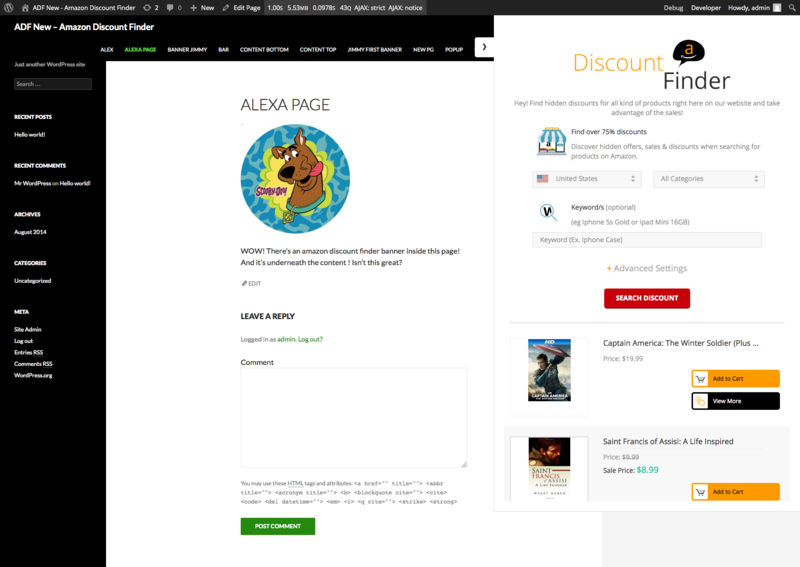 ), display it somewhere on your website (or everywhere), and this banner will convert users that will be either redirected to amazon directly or using the add to cart button, they will already have the products in their cart. This means that you will earn more money as we speak. 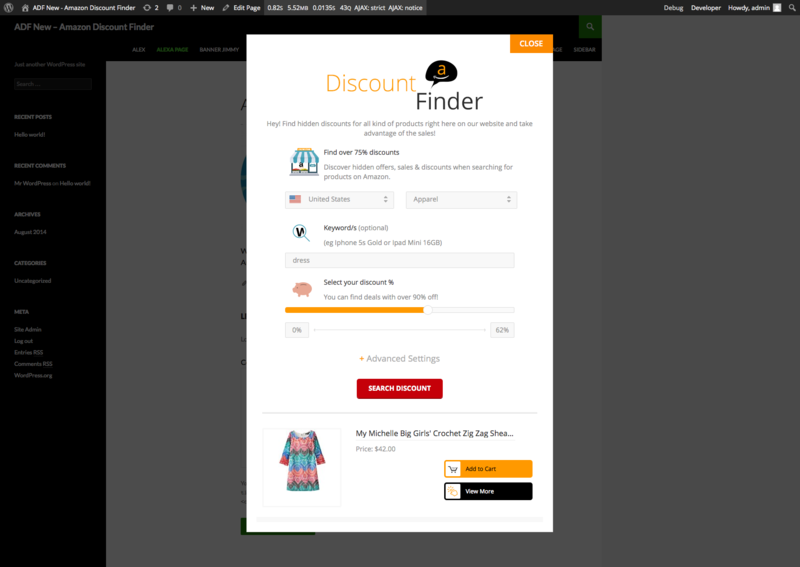 Amazon Discount Finder is an affiliate advertising plugin designed to provide a means for any kind of websites to earn advertising fees by advertising and linking to Amazon. Amazon is the biggest online store where customers can find and discover anything they might want to buy online, and endeavors to offer its customers the lowest possible prices, discounts, offers & coupons. But because of Amazon’s hugeness it’s hard to browse trough all the endless pages. Also, Amazon has tons of hidden discounts & deals up to 90% off that are not so easy to discover. If you’re an affiliate and want to earn extra money & commissions by promoting amazon’s offers & deals, don’t stop! Keep on reading! 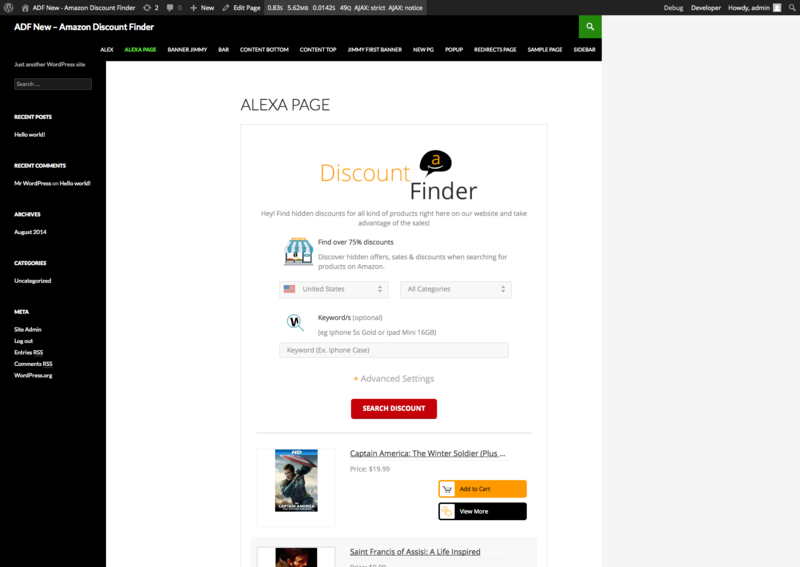 Our newest project is called Discount Finder for Amazon. The name speaks for itself, but there’s much more beneath the surface. 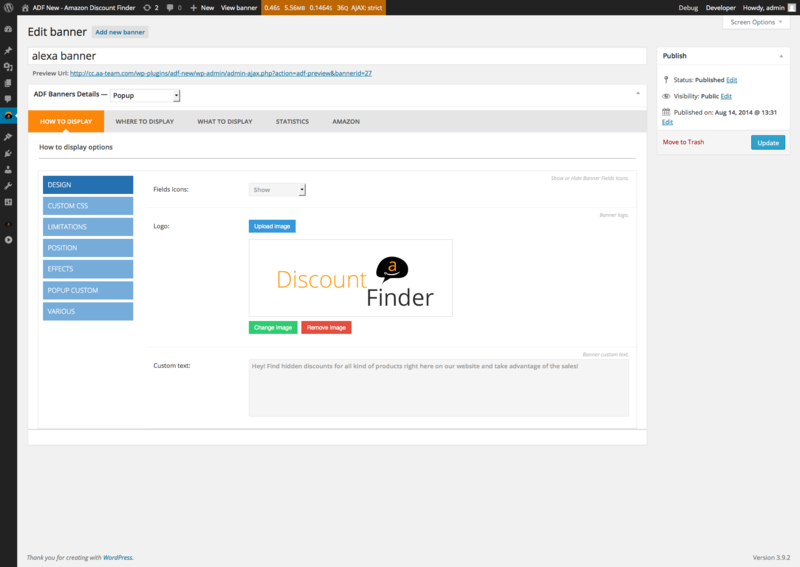 The most important feature of our plugin is that it displays best discounts found on site, and external ones as well. 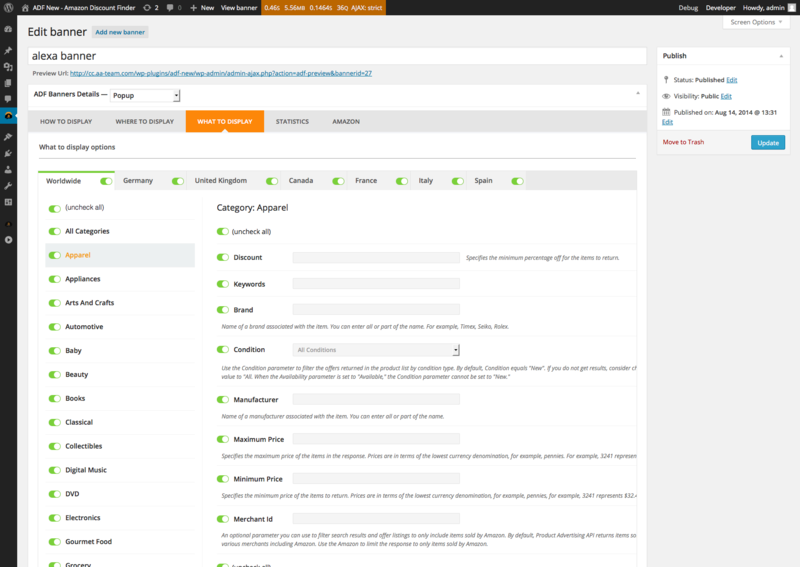 The plugin’s components are built to work as banners, that are of 5 types. 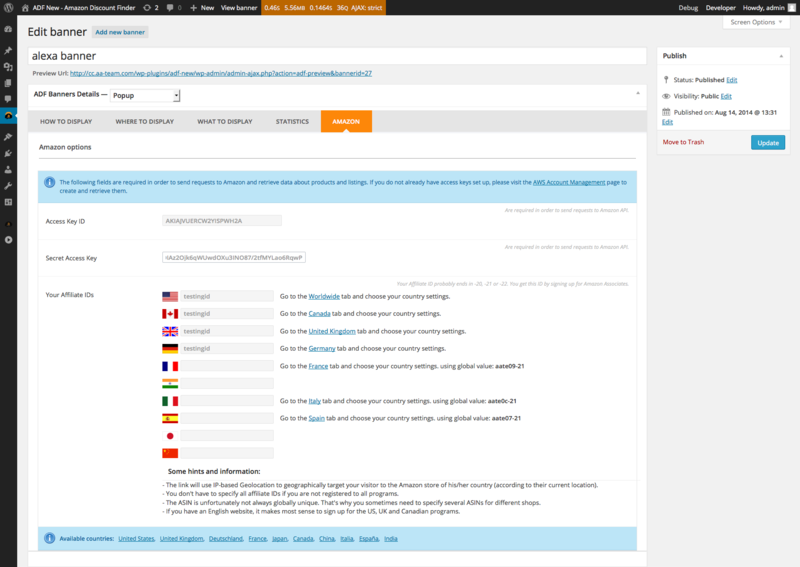 Why is our plugin of help? Well, It basically narrows down the number of pages you’d have to sort through if you just went on Amazon and hunted for discounts, offers & so on. You will be able to offer your customers super deals and in the same time you will earn commissions just like magic! Makes money while you sleep! Thanks to the 90 days cookie, if a user purchases a product in 90 days, you will still get the commissions! 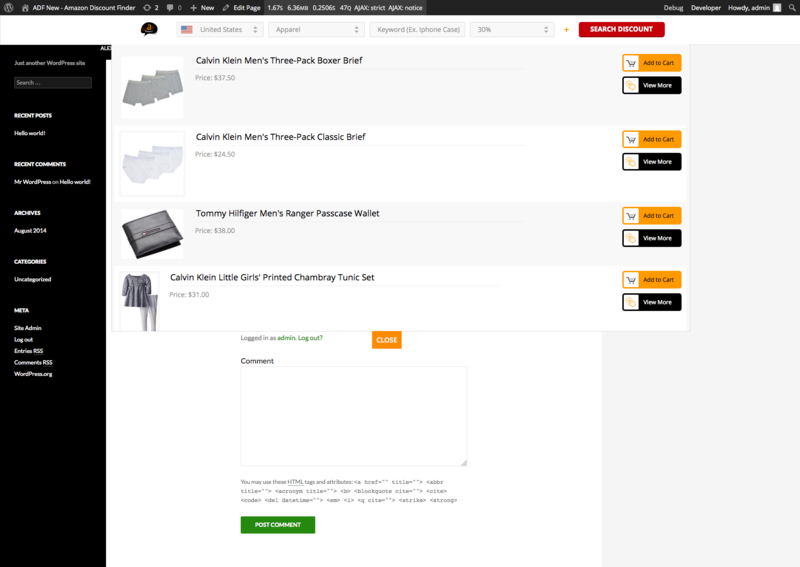 - Search products opened – choose if you already wish to display a certain search offer to your customers when the banner is displayed. Here you have all the amazon locations available, and you can choose to display them or not in a certain banner, and allow your users only to browse trough some of amazon’s categories, and filter products only by some of the fields. Here you have some banner statistics. 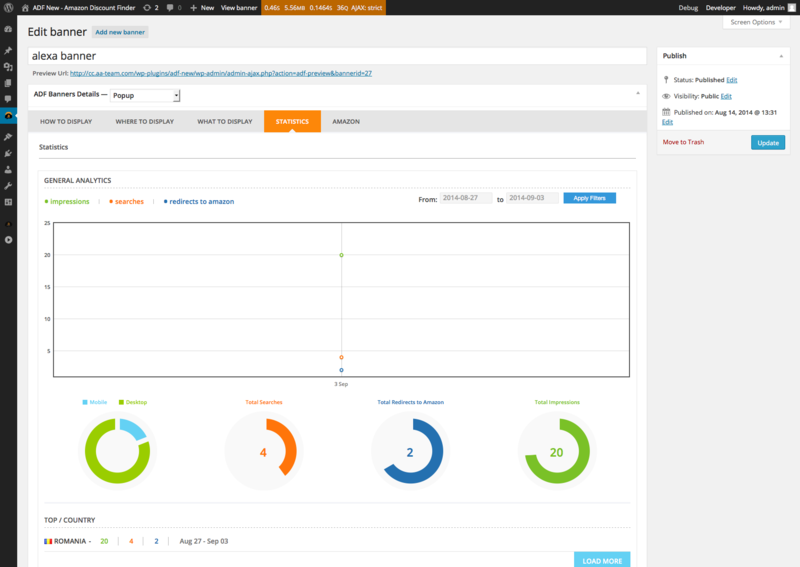 A graph with impressions, searches and redirects to amazon so you can monitorize your banner. Setup amazon key access & secret key and affiliate ID’s in order to be able to search for products & also get the commissions.